This Christmas, gather your friends, family and colleagues and treat them to an unforgettable meal ‘Kyloe style’. 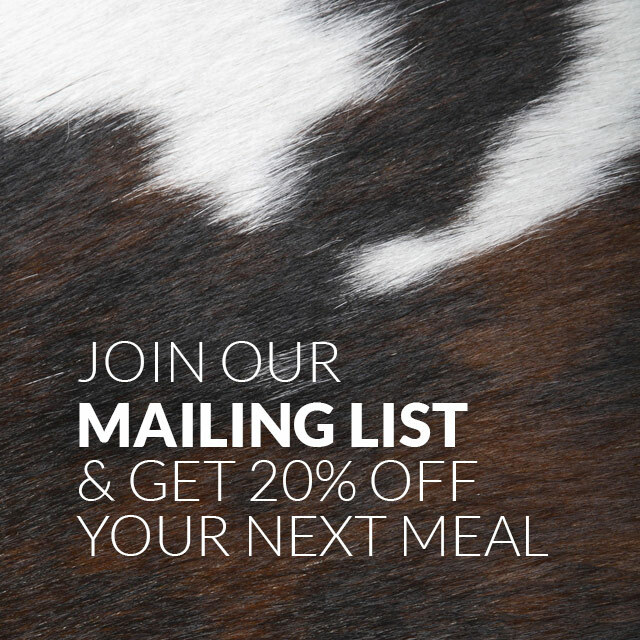 Ever committed to bringing you top quality, truly irresistible beef, our festive menu celebrates the best of Scottish produce infused with deliciously festive flavours. For further information or to make a booking, please contact our events team who will be delighted to hear from you. If you are looking to arrange something a little more ‘VIP’, then perhaps our opulent private dining room might be of interest? Formal dining for 10-20 guests with two dedicated members of our team serving your party a sumptuous meal. The private dining experience is set to impress and each occasion is truly memorable. Email [email protected] to receive packages and check availability. Struggling to find the ideal Christmas present for that special someone? 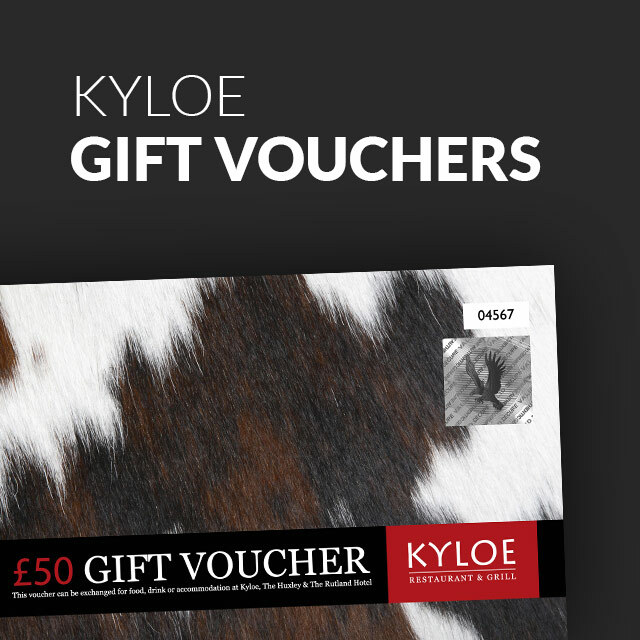 How about a Kyloe gift voucher? Our vouchers can be bought in denominations of £25, £50 and £100 allowing you to pick your preferred value. 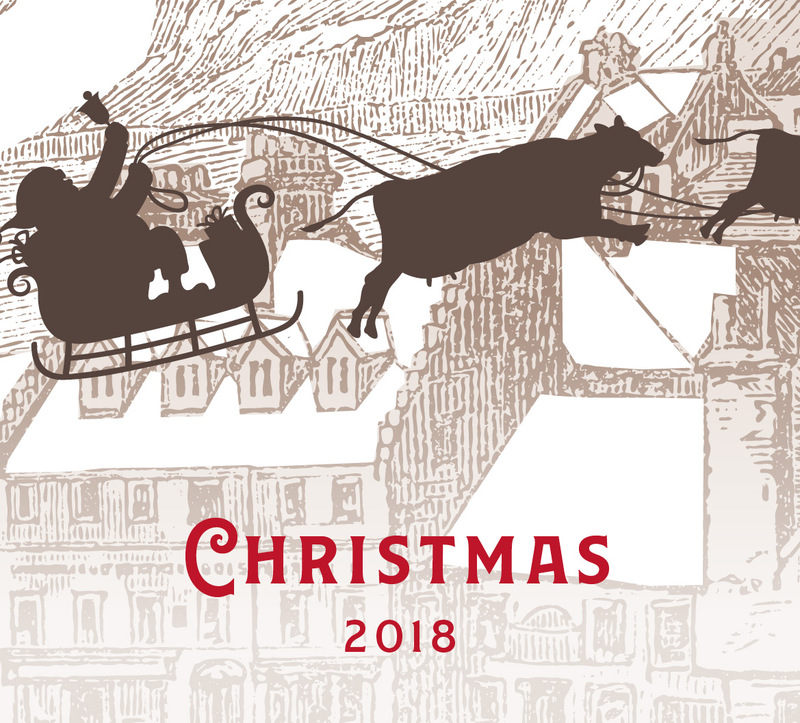 Vouchers ordered after the 15th December cannot be guaranteed for Christmas delivery – be sure to check the Post Office Christmas post dates for further information. Vouchers can be purchased from The Rutland Hotel reception or online here. Why not buy your loved one a voucher with a twist on the classic Afternoon Tea? Our ‘Kyloe Style’ Afternoon Tea serves up a meaty twist, inclusive of afternoon tea and champagne!